We got the keys to the Tesla Model S P90D for seven days and with this all-electric car at our fingertips we wanted to put it to the test. 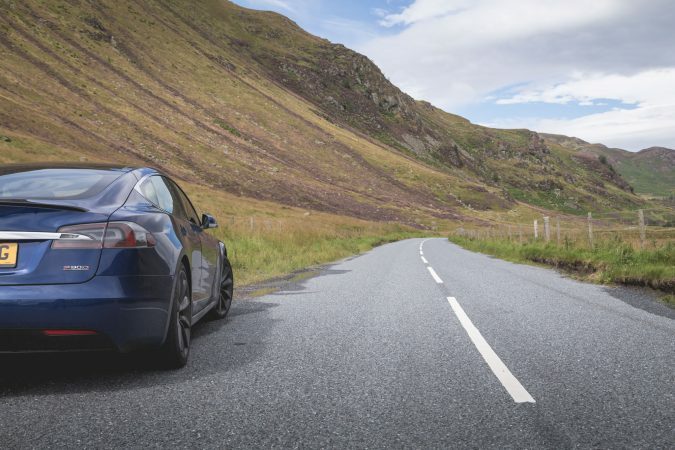 We decided that we wanted to take one of the most advanced cars you could buy to one of the most rural and untouched areas of the United Kingdom, The Scottish Highlands. Hundreds of miles away from typical city infrastructure, we tested to see just how the Model S got on with long-range driving, autopilot driving and lack of connectivity. Our trip started at 3:30 AM with myself getting on the road to pick up photographer Ross Jukes and videographer Daniel Barnett. 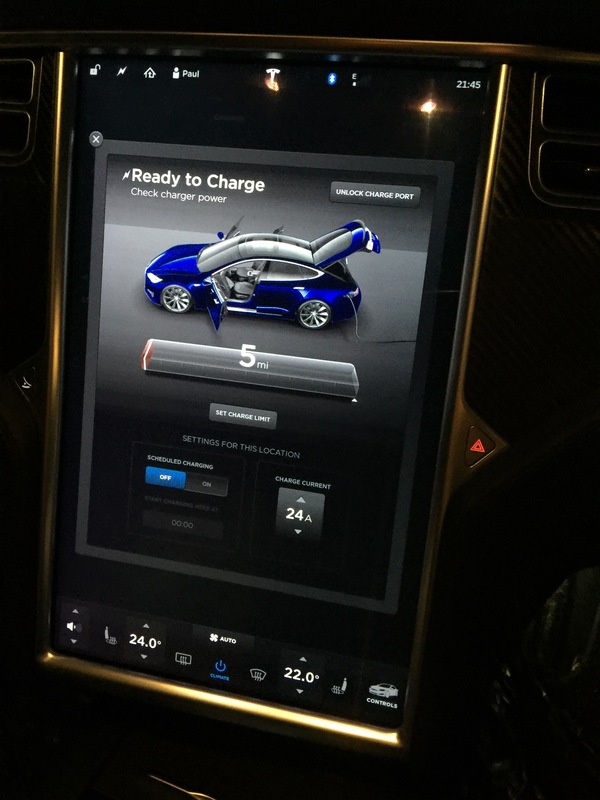 I had fully charged the Tesla Model S P90D to 100% the night before to ensure maximum range. Once everyone was in we were off and en route. 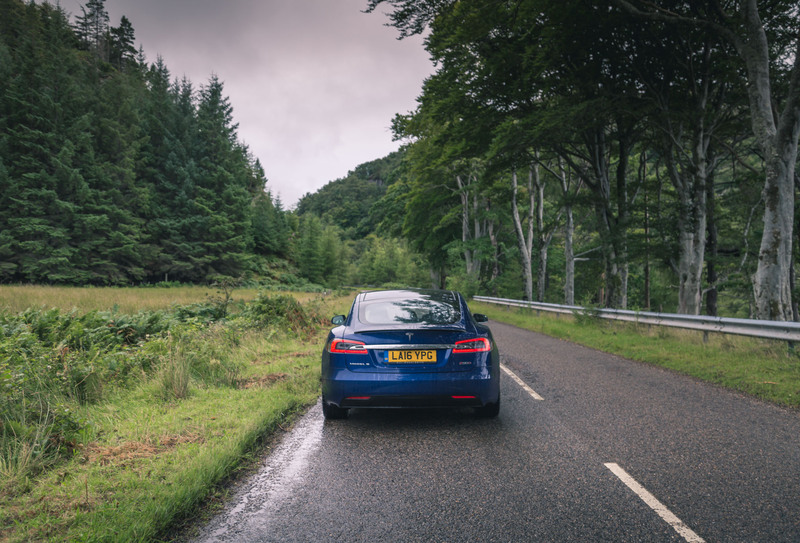 We had 500 miles to cover with the typical range of the P90D sitting at only 250 miles per charge. 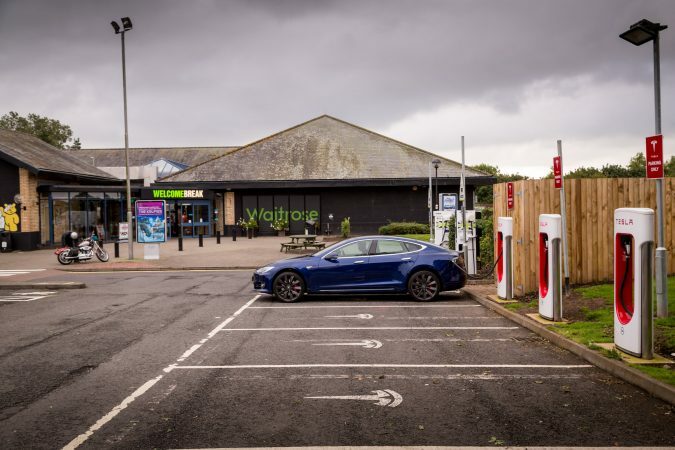 Setting a destination on the sat nav, the Tesla will decide the most efficient way for you to take your journey based around the supercharging infrastructure available in the UK. 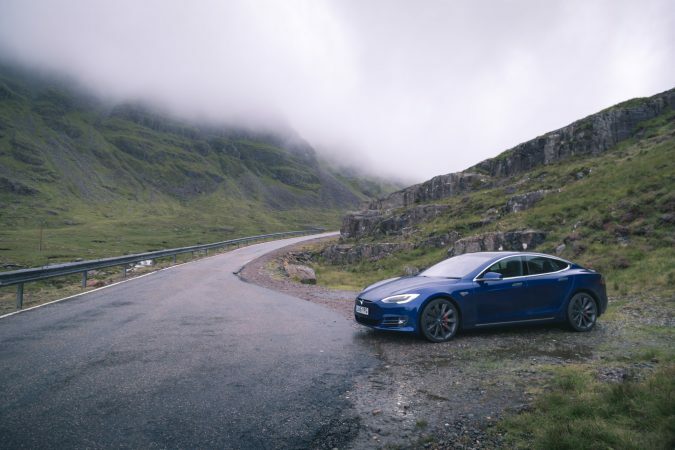 On our way up to the Scottish Highlands, the car had designed a plan for us to take short stops at a couple of convenient superchargers along the motorway infrastructure. The charge stops didn’t feel like much of a pain as, being human, we need to take breaks to have some time out anyway. 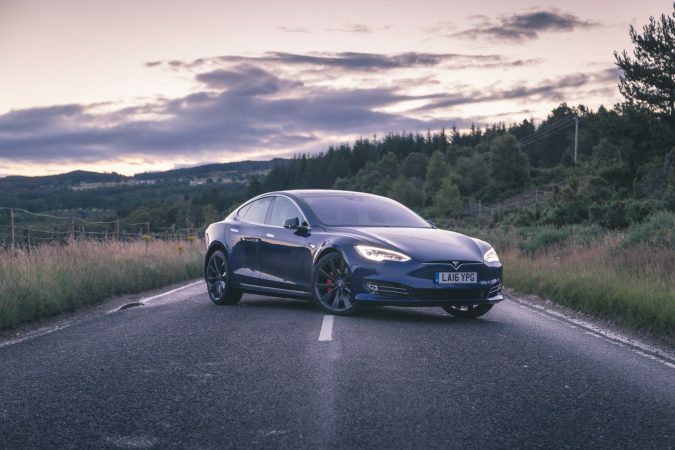 Typically, driving a normal car you may stop 20 minutes every 2 hours and carry on, during our trip in the Tesla our breaks were ever so slightly longer at 30 to 40 minutes to cater for the charge times to be able continue our journey effectively. This meant that we had a bit of time to get the laptop on the Wi-Fi and do some work during the journey. 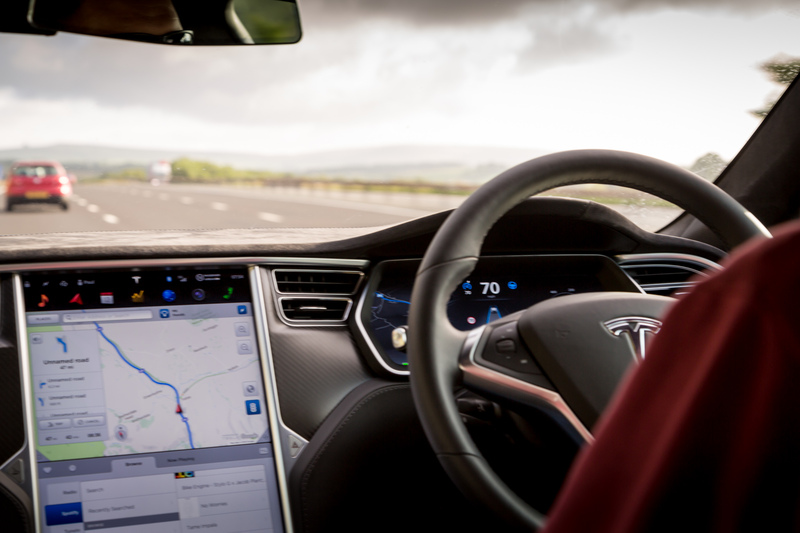 This 500-mile journey was a great opportunity for me to test the autopilot system built into this car. I will touch on this more later but on the motorway the system was proving to be highly effective and certainly improves motorway driving safety. 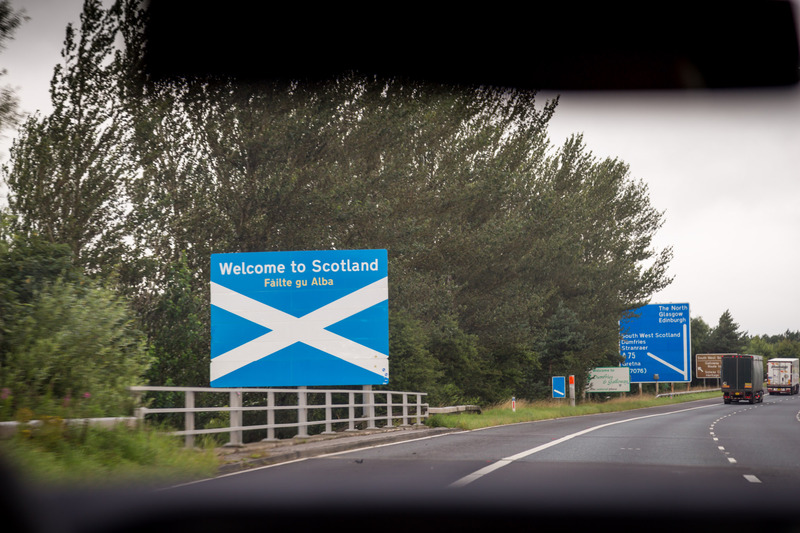 Once we had completed around 350 miles we were off the motorway and were able to start enjoying the beautiful Scottish scenery, and incredible roads that come with it. This is where the Tesla Model S P90D really started to come into its own. 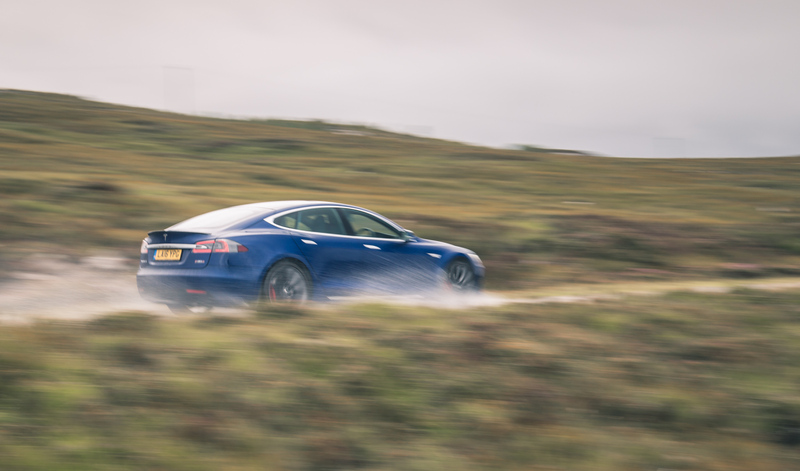 The performance of the P90D is just incredible, with a 0-60 mph time of 2.8 in this Ludicrous-enabled car shooting through the Scottish Highlands was beautifully smooth, ridiculously fast and provided a better driving experience than any other car I have tested in this environment. As we were travelling through this impressive scenery with a videographer and photographer, we took lots of opportunities to step out of the car and really enjoy the surroundings. However, this did further increase our travelling time. We eventually arrived at our destination a couple of miles from Loch Ness at around 6:30 PM. We stopped at an Air B&B location offering fantastic facilities in a super remote location. 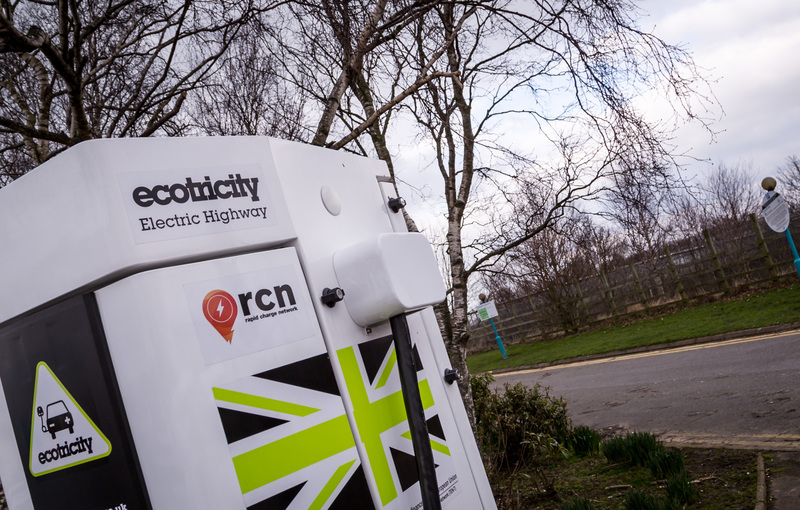 We then hooked the car up on a 50 kW public charger using the CHAdeMO cable. Surprisingly, this chart system was able to fully charge the car in under two hours meaning that by the time we had relaxed and had something to eat, the car was ready to go again. Prepping for the following day, Dan cleaned down the car getting it ready so that we could get the best possible results from the photo shoot we had planned before we took some rest and prepared for the next day. 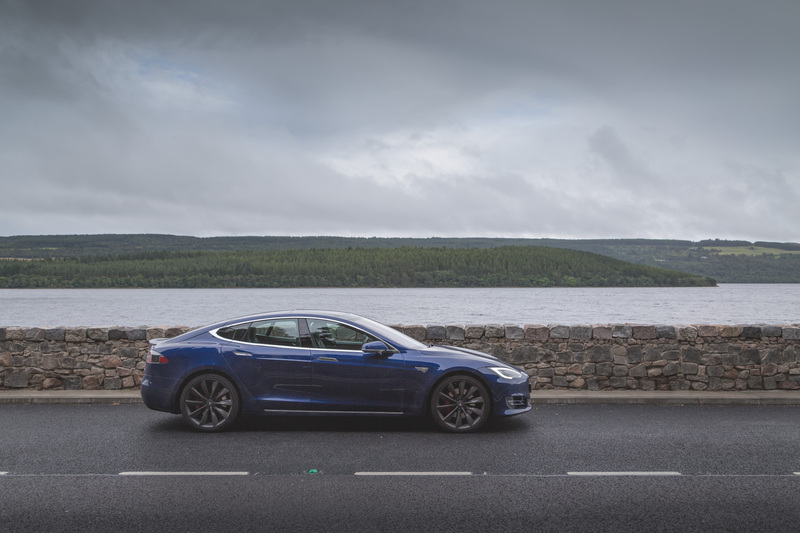 With the Tesla Model S P90D charged on the most northerly suitable charger in the UK and with perfect access to the Scottish Highlands, we had mapped out a 240-mile drive taking us all around the Scottish Highlands through some of the most impressive and beautiful landscapes you will see in the UK. We took a 4 AM start to get the car on the road ready for the soft light in the morning. We only had to travel for around 20 minutes before the light began to break and we found ourselves set in a truly impressive landscape without much effort. 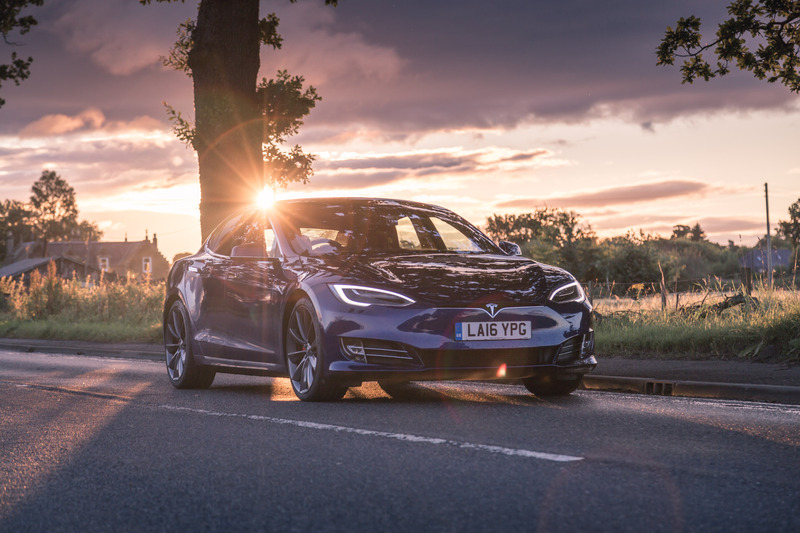 I think the picture below of the sunrise that we got is just fantastic, that huge warm glow creates a super special image showing the Tesla Model S in fantastic light. By 5:30 AM that morning we had already done pretty much a day’s work with the car, capturing lots of video and pictures. But we had lots more we could do. We continued our journey making lots of stops along the way to capture the car. Many times we found that we just wanted to stop and look around at the incredible scenery and take the odd picture sometimes with the car not included. A lot of the roads were incredibly bare with very few cars travelling on them, even in the peak of the summer. But the weather conditions weren’t perfect so maybe that was keeping some people away. The rain was on and off for most of the day meaning that most of our work could only be done when we found the right conditions. But we persisted. 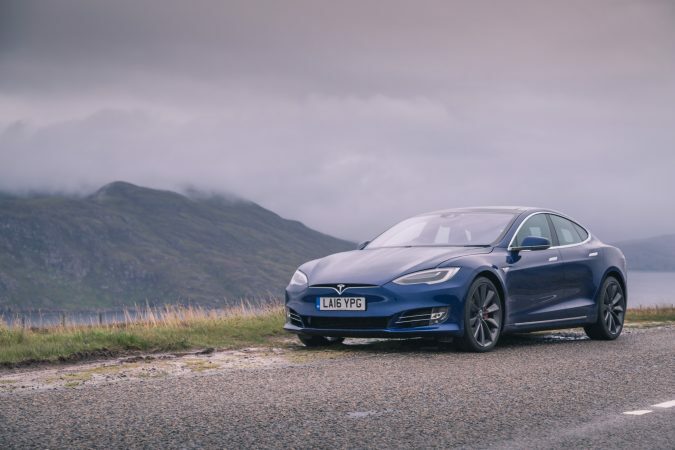 Take a look at one of my favourite areas below where you can see the Tesla placed in an iconic bit of Scottish scenery with rolling green hills in the background and fast-moving clouds over the top. 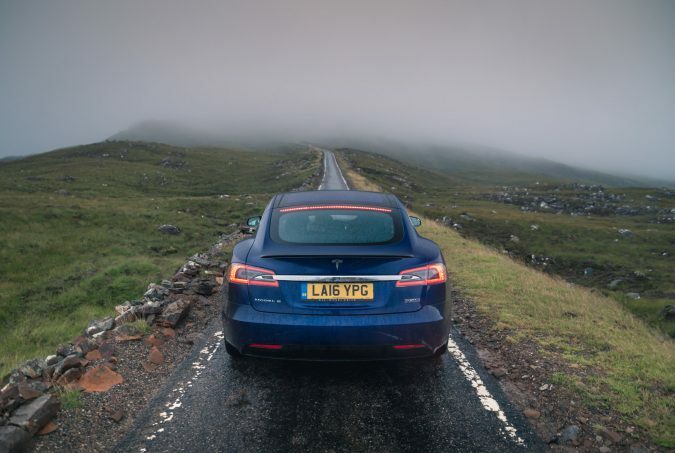 For me it was really special to take a super high-tech monster of a car into an environment that is thousands of years old and has pretty likely never seen a Tesla or any other electric car pass through before. We had planned an electric charge stop into our day. We could complete this journey without a stop but we did want to enjoy the performance of the car on these empty roads as well so decided to factor one in to ease the pressure. Also, for creating the video and photos there was lots of back-and-forth work on the road, significantly increasing the miles covered. 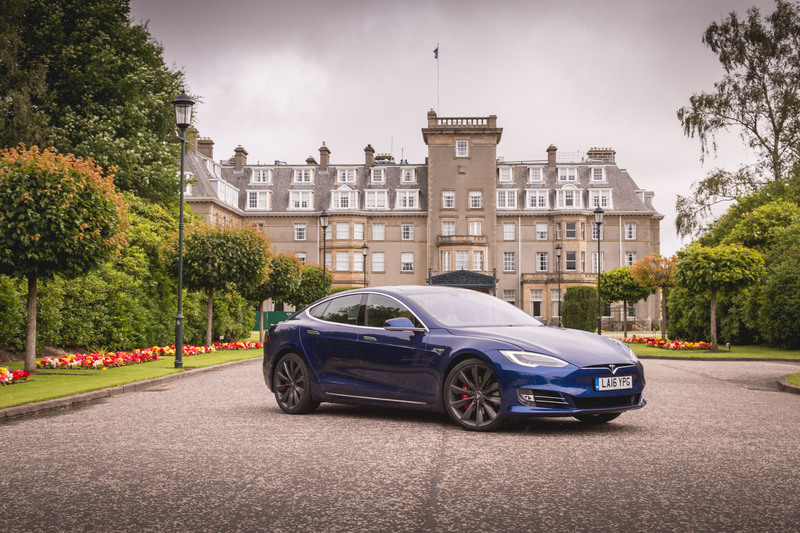 We stopped at the Torridon Hotel, the charging system there was a 50 kW charger that was able to fully charge the car in under two hours. This gave us a great opportunity to relax away from the car with the laptops and begin some of the editing process for videos and pictures. Once fully charged we continued on our way. Our trip continued onto the impressive coasts of the outer areas of the Highlands. There was beautiful green countryside for miles, where the scattered heather meets the cold dark sea. The coast goes on for miles and looks fantastic. Without a doubt I was very comfortable wrapped up in the super smooth Tesla Model S P90D removed from the wind and rain showers. At this point in the journey we had completed over 140 miles and we still felt very fresh inside the Tesla. There was lots of space for all the gear, and believe me we had a lot, using both the large rear boot and the smaller front boot, or the front trunk/frunk. But the main reason the car was so easy to live with is the beautifully relaxed air suspension that glides over the road like nothing you’ve ever felt before. 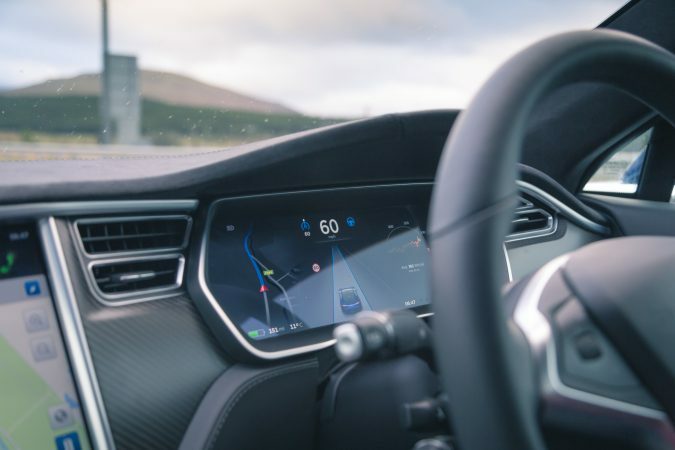 Closely followed by the electric motor power deployment which can be perfectly smooth and has the benefit of zero gear changes meaning the interruptions to the driving motion is minimised. Our coastal ride finished at Applecross where we headed back inland through the Highlands. This is where the road started to get a little bit more extreme. The road changed to a single track continuously flowing from left and right going uphill. The surrounding scenery was bare rock with valleys all around. Above was an extremely low cloud covering the top of the mountain we were heading up. Adding a bit of danger to the driving conditions made for a more interesting drive and certainly made it a little bit more exciting. The closer we got to the top of the mountain the more the cloud became an issue. Eventually we met the cloud and were completely blind for fog. 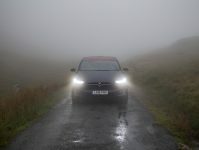 Being on a single track road on the top of the Scottish mountain with no visibility wasn’t my idea of a good time. However, we had set ourselves a goal to complete this journey, no matter the weather, and that is what we were going to do! We continued on with caution with the team observing the best they could to support the car on some of the tighter corners. Eventually we found ourselves at Applecross Pass, a stretch of road with hairpin corners for us to travel back down the mountain road, also thick with fog! But with every 10 metres we dropped in altitude we could see slightly further in front of us. Pretty soon we dropped out of the cloud completely and the road started to open in front of us again. You can see here as the road flows over the top of the mountain and into a valley. At this point the rest of the road was relatively safe and fast flowing all the way back to our accommodation for the night at Loch Ness. We had around 60 miles to go and over 80 miles left of charge in the Tesla Model S. So with the last few pictures taken and the light disappearing fast we chose to make the most of the car and enjoy it a bit. 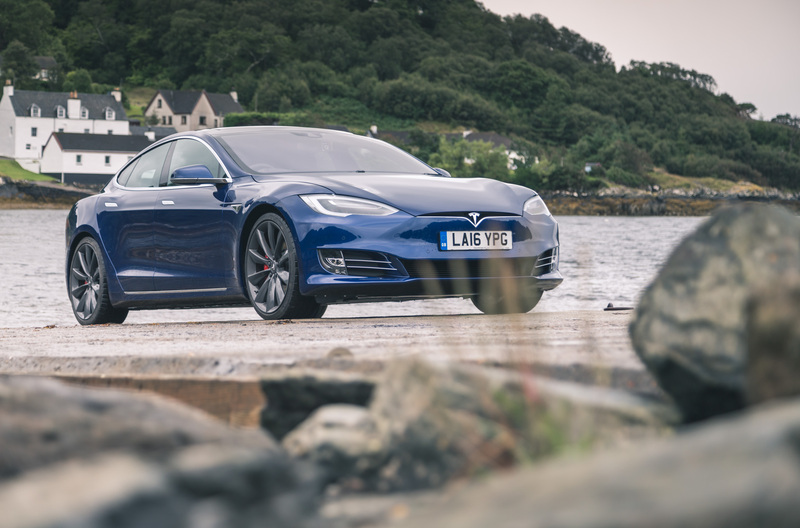 We changed the car over to Ludicrous mode to give the car max power and waited until we got to a safe bit of road to really enjoy the one-off acceleration aspects that the Tesla Model S P90D delivers. 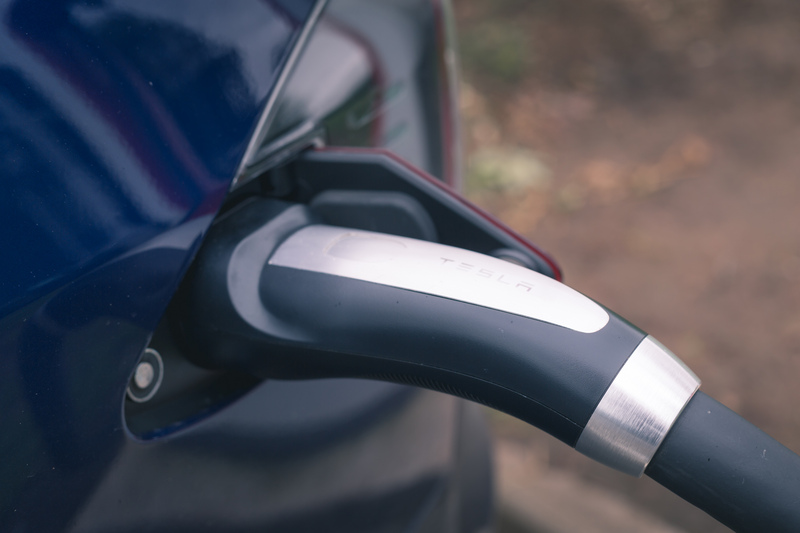 We were aware that we were depleting the charge faster than if you were driving the car economically. But we were doing this in a calculated manner, still knowing that we had miles to spare. Also, it was partly from an educational perspective; I was keen to see how the car responds with low battery capacity. By the time we had arrived back to our accommodation we had purposely depleted the battery down with just 5 miles of range left, although in hindsight it probably was a little tight! With so little charge in the car there were a couple of things to note. 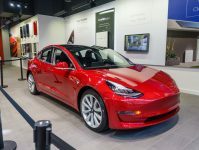 Of course the deceleration is limited because of the lack of power, the car does give you notifications if you are low on charge and out of the range of any known charges. 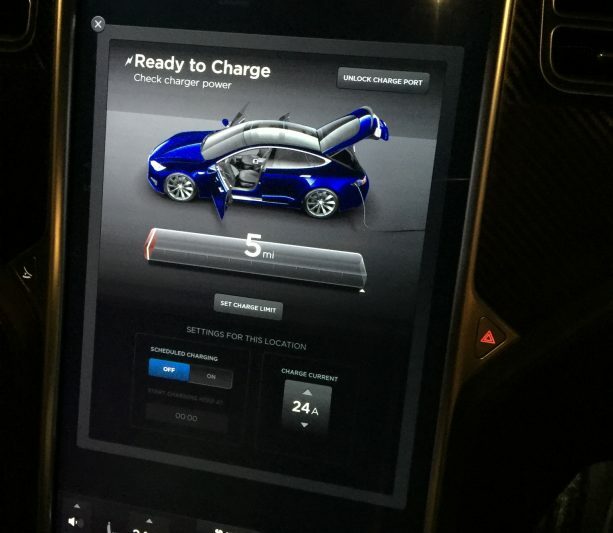 And also we were notified if there were any significant changes to the outside temperature and as a result the amounts of charge in the batteries may be shortened more quickly. All valuable lessons learnt in a – fairly – controlled environment. We arrived back at our accommodation and hooked the car back onto the 50 kW public charger. 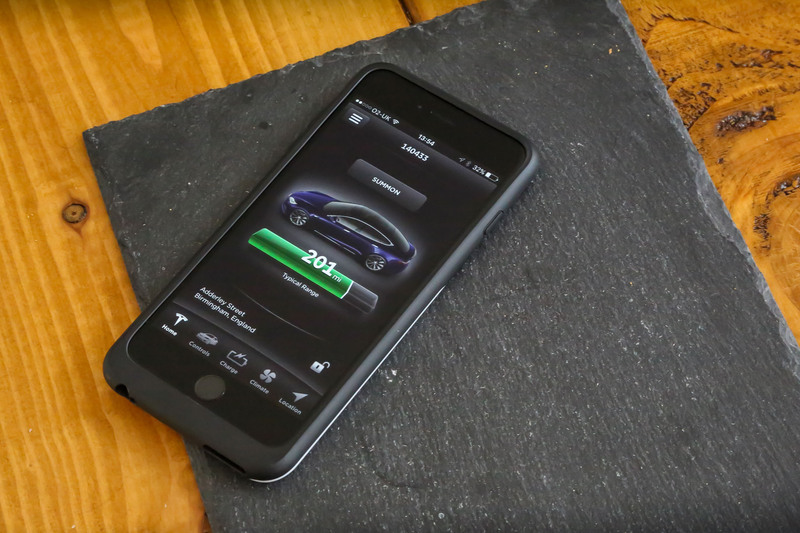 Our Tesla Model S was happy again knowing that it would be back at 100% within two hours. It is worth noting that the Tesla Model S comes with a very well-built application that allows you to monitor the charge status of the car from your phone, and even gives you notifications when it is fully charged or if the charge has been interrupted for any reason. What a fantastic day it had been taking this futuristic car around an untouched and historic landscape. We proved that the Tesla Model S P90D is capable of conquering any landscape in the UK with the charging structure that we currently have without any issue. And even got the chance to really enjoy the performance of the car. Waking up at 4 AM the following day to travel back from Loch Ness to Birmingham we had 500 miles to cover and all day to do it in. Before taking the short walk to collect the car from its charging point I checked the app to make sure the Tesla Model S P90D was fully charged, it was so I went and brought it back to be loaded with all the camera gear. Once fully packed up we set off on the road once again allowing Tesla’s navigation system to plan the supercharging events on the way back to Birmingham. This time round it took us on a slightly different route which gave us an opportunity to see some more new landscapes. Without the excitement and anticipation we had for our weekend’s adventure on the way up, the journey back certainly felt a lot harder than the drive up. 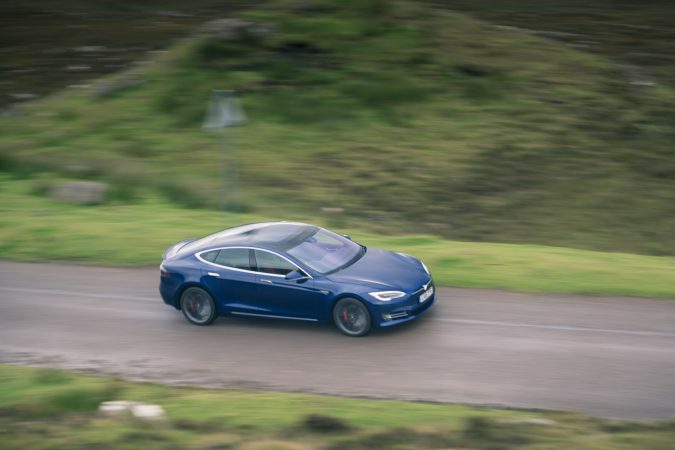 However, the Tesla Model S with autopilot really makes long journeys a lot simpler for a couple of reasons. First of all, the adaptive cruise control system available in the Model S is the best I have ever tested. How it chooses to act with the traffic in front of it appears to be very intuitive and smooth to operate. Secondly autopilot helps a lot too, a £2,000+ option in the UK, but it gives the car the opportunity to guide itself down a marked lane with auto steering. A fantastic feature that must not be confused with autonomous driving; it is an assistive technology, you still need to keep your hands on the wheel and pay attention to the road but the system keeps the car in the centre of the lane and makes minor adjustments as needed to keep it there. The effects of this on the driver does give you the opportunity to relax the muscles in your arm, which I know is a very minor thing to mention but when you remember that this was a 10-hour journey covering over 500 miles, even the smallest of things can make a big difference. As expected we took around three stops at superchargers on the way home. Each of these stops were between 30 and 40 minutes getting the car back up to optimal range. At each of the locations the Tesla parking spaces were wide and very accessible. Also the facilities were all at a high standard which meant we could relax away from the car and pass the time, whether it be getting a refreshment or simply getting some work done on the laptop. 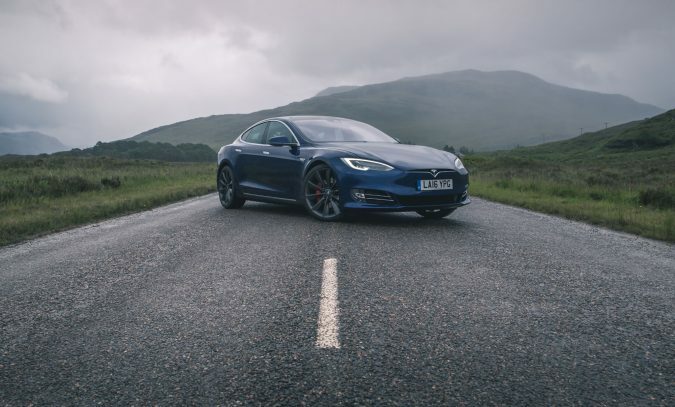 Later that day we arrived back in Birmingham, I have to say feeling relatively fresh considering we completed over 1,200 miles in the Tesla Model S P90D ultimately spending over 30 hours in the car, more including all the photo shoot time. 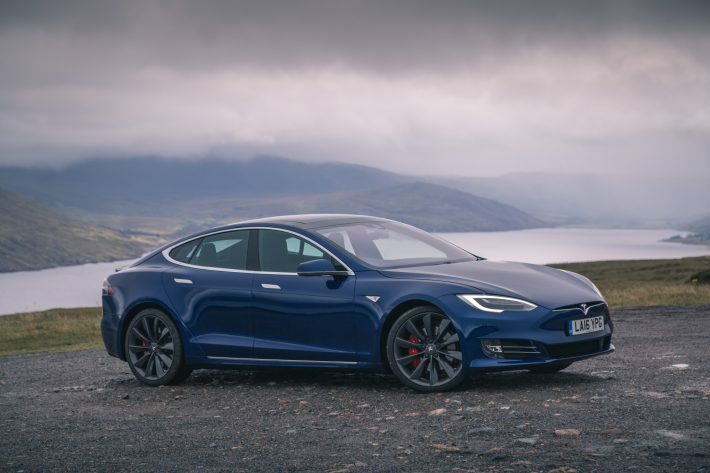 The biggest thought that’s going through my mind now is how am I going to deal with any kind of conventional car after experiencing the Model S P90D? There is so much to love about this car and that I will cover in the car review, but the level of refinement is incredibly high. 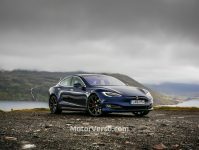 This is partly because of the suspension, partly because of the additional weight from the batteries, and partly because of the electric drivetrain that gives no vibration back to the car. Altogether the package is just incredible and the performance is, for want of a better phrase, absolutely ridiculous. The level of power created by the P90D literally hurts your insides when you put your foot down, but it is oddly addictive at the same time. 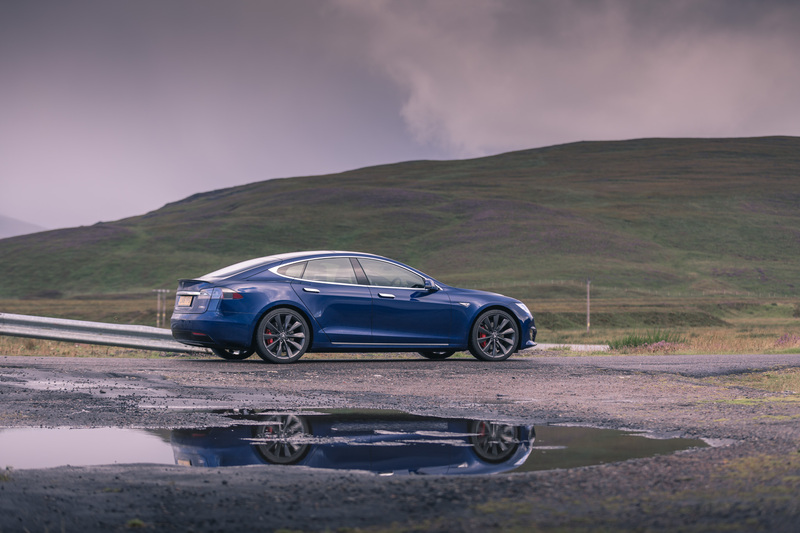 We had a great weekend with the Tesla and learnt so much about the car and its abilities. It gave us the opportunity to test long-distance travel in the Tesla Model S P90D, gave us hours of autopilot time and also a great opportunity to picture the Tesla in one of the most scenic environments possible. Without doubt I will remember this journey for a long time. You might be interested in our Tesla wallpaper, take a look. Photography by Ross Jukes. Videography by Daniel Barnett.